We arrived in the Inca capital with nowhere to stay. I was actually surprised by how little the altitude affected me in Colca Canyon. For whatever reason, Cusco seemed to hit me more. You know when you’re drunk and you run, or do any physical exertion, and you are left unusually out of breath? That’s altitude. Renee: If you have suffered from altitude sickness in the past, you are more likely than others to fall victim again. 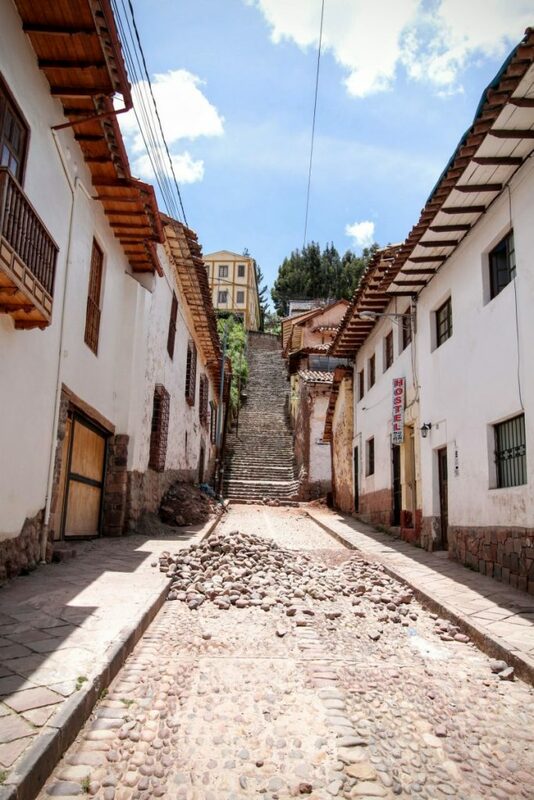 The city of Cusco stands at 3,400 metres. When I visited the city 13 years ago, I barely saw more than the main square. I caught a bus direct from the low lying city of Lima and hopped off feeling ruined. Every 5 steps took my breath away for the next ten minutes. My lungs ached like I’d run a marathon, just from the effort of climbing a few steps. This time, we ascended slowly. First we went to Arequipa, at 2400 metres. After a few low impact days, we went to Colca Canyon, a tad higher in altitude, and did some major physical exertion. Then we ascended to Cusco. We took all of the doctor’s, bloggers’, and locals’ advice. On our first day, we did nothing. Ok… we ate a meal, found the dodgiest accommodation for the night, and went to bed waaaay before dark. Even so, it hit me. When took a look at the cathedral in the main square, I had to sit and rest frequently. Over the next few days, as well as being short of breath, I experienced pins and needles in the hands and numbness in the face; an obvious sign of lack of oxygen… until I read the side effects of the altitude sickness medication. 12 hours after stopping taking the pills, I felt right as rain! Why would anyone make medication with the same side effects as the symptoms of the condition it’s meant to cure?! 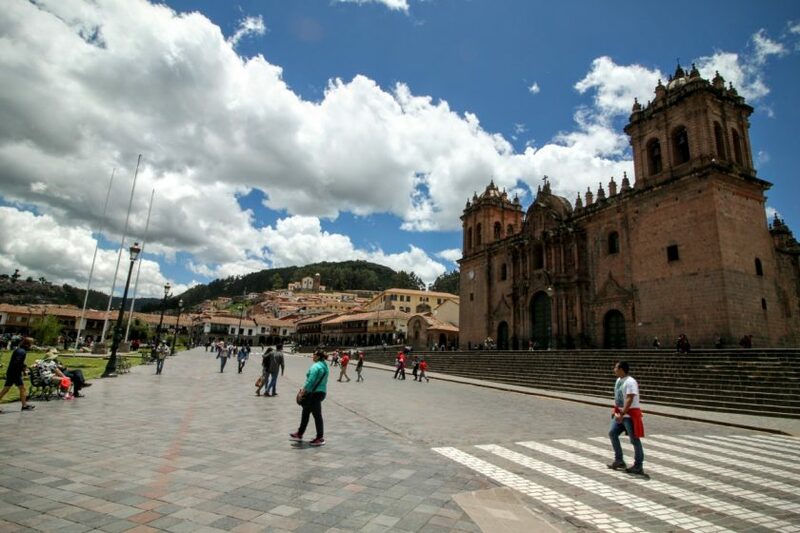 4M dropped us off in Cusco’s Plaza de Armas, famously built on top of the Inca city. We had lunch and I got my first taste of alpaca. Kind of like cheap steak, it was OK.
Cusco is nestled into the valley, with hills on all sides. This makes many of the streets very steep. We walked a few blocks until we were out of breath, then found a backpackers. Then didn’t move for the rest of the day.